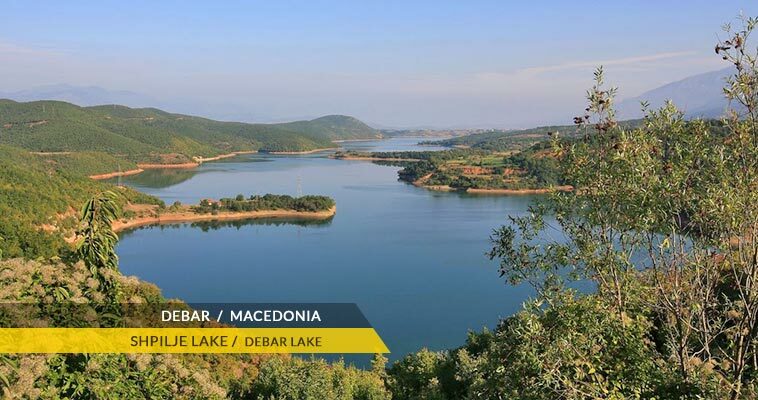 Located by the Debar lake, near the border with Albania in western Macedonia (on the road from Struga to Gostivar) is the small town of Debar. Debar is surrounded by the mountains Desat, Stogovo, Jablanica and Bistra. It's the seat of Debar municipality. According to the 2002 census, Debar had 14,561 inhabitants. Debar lies at an altitude of 650 meters above the sea level, next to Lake Debar, the Crni Drim river and its smaller break-off river Radika. Debar is situated in the Debar plain that is far away from the nearest international route E-65. A good local road connects Debar with Struga (52 km) and Gostivar (68 km) and on to Tetovo and Skopje (134 km). The most reputed craftsmen, builders and carvers were of Debar origin. Debar is well known and famous for its skilled woodcarving masters from the 17th to 19th century. Their work can be seen in many churches throughout the Balkan Peninsula. Grigor Prlichev was given the title "Second Homer" in 1860 in Athens for his poem "The Serdar". Based on a folk poem, it deals with the exploits and heroic death of Kuzman Kapidan, a famous hero and protector of Christian people in the Debar region in their struggle with bandits. Some of the oldest and richest Albanian epics still exist in the Debar regions and are part of the Albanian mythological heritage. In immediate surroundings of Debar, along the course of the rivers Radika and Crni Drim, travelers may enjoy the vivid scenery of river Radika and Crni Drim, as well as the Globocica & Debar lakes.